Rosecliffe Tree Tops is a beautifully appointed and spacious two bedroom one bathroom home with spectacular views, polished hardwood floors and 3 meter high ceilings. It features a large fully equipped kitchen, entertainment lounge room area with a large widescreen TV and luxury spa bath bathroom. Each room has massive fully screened louvered windows. Log effect heaters and tropical ceiling fans are in place for your comfort. 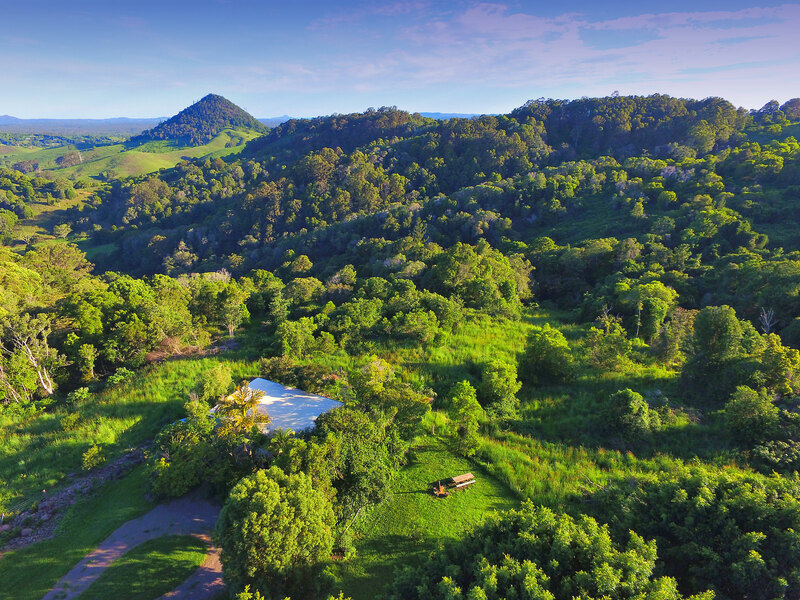 Perched on the hill side Rosecliffe Tree Tops has sweeping tree top views extending to Mount Pinbarren National Park and beyond. It has a long veranda taking in the views with seating and a hooded BBQ. Quality linens and towels are supplied. The master bedroom has a massive window with sweeping mountain views, a walk in wardrobe, pillow topped queen sized bed and a chaise lounge. It has a flame effect heater and the the bed is fitted with an electric under blanket in winter. The family room has a brass queen sized bed, a single bed and a feather filled single sized bed sleeper sofa with massive windows and garden views. It has a heater and the the beds are fitted with an electric under blanket in winter with the exception of the foldout for safety. The lounge room has spectacular views through three massive windows, a large flat screen TV, DVDs, book library and video player. The large kitchen is fully equipped with oven, gas stove top, microwave, cappuccino maker, a standard 300litre SS fridge/ freezer combination. All cutlery, china ware and crockery is provided. The luxury spa bathroom is equipped with a waterfall sink and rainfall/spa bath combination. 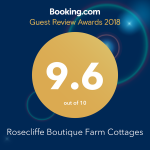 Rosecliffe is bordered by our organic citrus orchard and has private garden areas with seating and an out door chiminea fireplace. Rosecliffe Tree Tops is Pet Friendly. There is a yard full fenced that adjoins to the veranda for your pooch. Rosecliffe Tree Tops is Child Friendly. Quality children’s books, games and DVD’s are supplied and the gardens are ideal for playing. A port a cot and high chair are availble upon request.